“For years, asbestos companies knowingly allowed countless employees to work closely with asbestos products and face health risks from exposure. 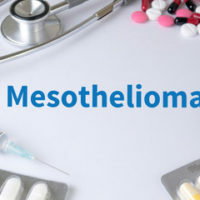 Thousands of people are diagnosed with mesothelioma and other asbestos-related diseases every year as a result of such negligence,” the Mesothelioma Asbestos Awareness Center informs readers. Mesothelioma victims and others facing asbestos-caused illnesses have legal options in an effort to get financial compensation. The money can help cover expensive medical bills and other treatment-related costs like travel and lodging, plus recovery of lost wages. A trust fund created by asbestos companies that have become bankrupt. Both the Federal Occupational Safety and Health Administration (OSHA) and its Indiana counterpart (IOSHA) are tasked with seeing that employers operate within certain standards of safety, and are responsible for enforcing statutes which impact worker safety, including laws relating to asbestos and other toxic substances. Filing a mesothelioma claim is quite a complex process. First, Indiana law contains a statute of limitations of two years on all personal injury claims filed by those diagnosed with an asbestos-related disease. On wrongful death claims, Indiana allows families two years after the death to file an asbestos lawsuit. Now that asbestos is no longer as widely used in building and in industry, and while it is highly regulated in manufacturing today, is the problem over? NO! According to the Centers for Disease Control and Prevention, deaths related to malignant mesothelioma are at a record high! How can that be? “Buildings constructed before 1980 likely contain asbestos products, including insulation, roofing, tile flooring and drywall. Disturbing these materials during home repairs and renovations causes toxic asbestos fibers to become airborne, where they can remain for hours,” explains the asbestos.com website. Is the legal battle worth the hassle? YES! According to a recent Mealey’s Litigation Report, the average mesothelioma settlement award is estimated between $1 million and $1.4 million. “While there is no one cure for mesothelioma, excellent curative or life-extending treatments are available for patients at every stage.” New therapies are being tested in clinical trial settings, offering valuable, potentially life-saving options, provided the funding is there. Talk to Ramey & Hailey about getting the compensation you need.